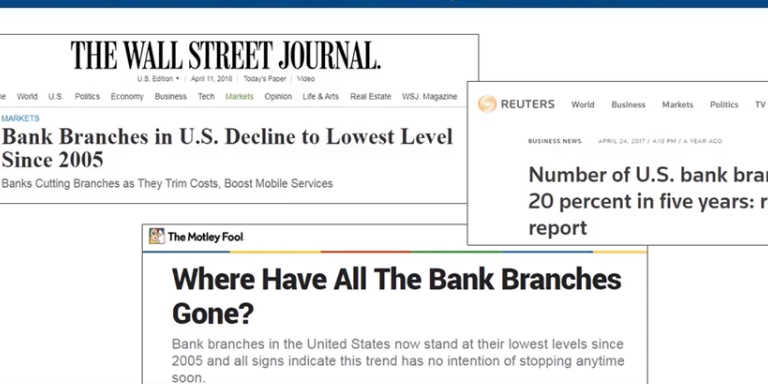 After peaking in the late 2000s the number of US bank branch locations has been on a steady decline, leading some experts to make dire predictions about the disappearance of the brick-and-mortar FI location. A look beneath the surface, however, reveals a more nuanced story. While consumers increasingly engage with their FIs through digital channels, the more likely outcome is a reinvention of the physical branch rather than a wholesale abandonment of this longstanding pillar of banking relationships. This 40-minute webinar will separate data-driven trends from hyperbole and offer insights on the adjustments necessary to succeed in a world where face-to-face interactions with bank customers are fewer and further between.